it's Justine today with another video tutorial and I am here showing you a slowed-down version on how to create a distress inked background and offering some tips and tricks as a refresher. 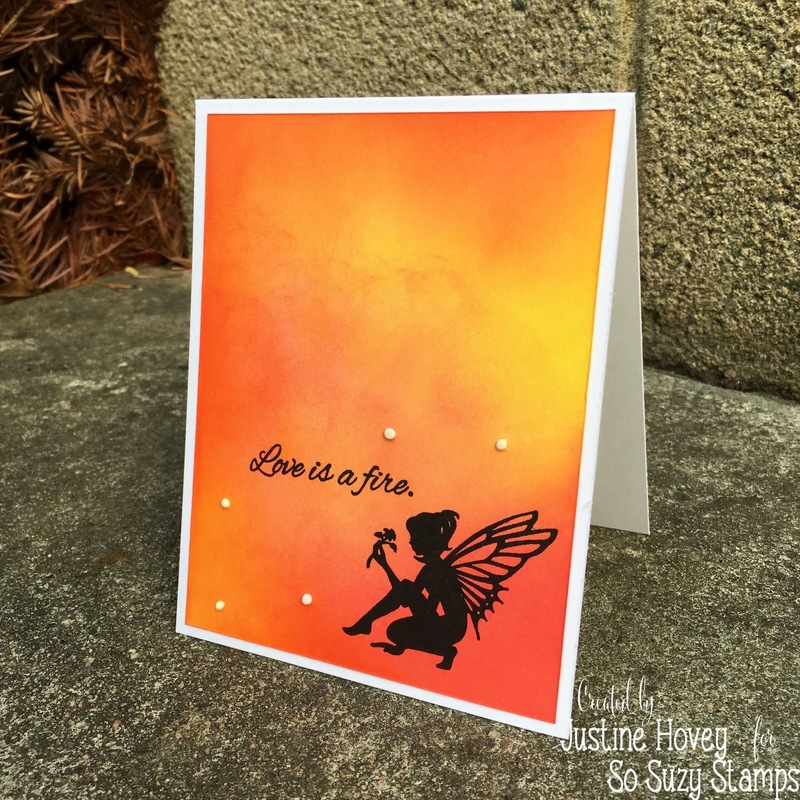 I personally adore solid stamps - no colouring, no fuss just a gorgeous silhouette - pair it with a colourful background and I'm sold! Hey Justine!! I love this card. Its so pretty! !